Born in the United States and educated in China, Singapore, and Sydney, Esther was a choral scholar at The Queen’s College, Oxford, where she read Philosophy and Theology. She recently gained an MA with Distinction from the Royal Academy of Music, where she was awarded full scholarships in both years, generously provided by the Kohn Foundation and Lucille Graham Trust. Concert highlights include appearances as a soloist with the Mahler Chamber Orchestra, Leipzig Gewandhaus Orchestra, the Orchestra of the Age of Enlightenment, London Handel Orchestra, English Baroque Soloists, and the Orchestre Révolutionnaire et Romantique under Sir John Eliot Gardiner. Operatic roles have included Rosina (Barber of Seville), Sorceress (Dido and Aeneas), Euridice (L'Orfeo), Mrs Slender (Salieri’s Falstaff), Lauretta (Gianni Schicchi), Juno (The Judgment of Paris), Grand Duchess of Monteblanco (A Dinner Engagement), Iris/Hummingbird (The Birds), and Ninfa/Proserpina (L’Orfeo); and in RAM Vocal Faculty opera scenes, Erika (Vanessa), Sesto (Clemenza di Tito), Octavian (Der Rosenkavalier), and Minkswoman (Flight). Recent appearances have included Handel’s Dixit Dominus with the Brook Street Band, Ninfa/Proserpina in Monteverdi’s L’Orfeo at King’s Place, solos in Schumann’s Manfred with the Leipzig Gewandhaus Orchestra, the Brighton Early Music Festival’s Live! scheme as well as solo appearances in Vivaldi’s Gloria and Handel’s Dixit Dominus with the Orchestra of the Age of Enlightenment. 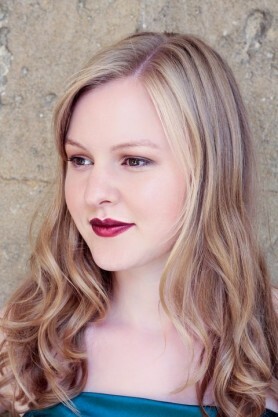 She appeared as a soloist at the Royal Albert Hall with the English Baroque Soloists and Sir John Eliot Gardiner in the critically-acclaimed Bach Marathon; Esther was a featured soloist at the 2013 Brighton Early Music Festival, singing in their Early Music Club Night and as a soloist in Bach’s St John Passion. Recordings have included Handel Dixit Dominus and Scarlatti Dixit Dominus with the Brook Street Band, Handel and Vivaldi Dixit Dominus settings with La Nuova Musica/David Bates, Charpentier’s Reniement de Saint Pierre for Harmonia Mundi USA/La Nuova Musica, and Bach’s Ascension Cantatas with the Monteverdi Choir. She is also a founding member of Oxford Baroque, who were selected as Young Artists in the 2012 Brighton Music Festival, and opened the 2013 St John’s, Smith Square Christmas festival. She studies with Susan Roberts. "Esther Brazil made a very fine Dido indeed, really taking control of the role. She seemed to have strong feel for Purcell's vocal line and combined this with musicality and great personal charm. A stylish singer, she brought poise and intensity to Dido and was very moving in the final farewell." Esther Brazil: ...claire et directe, avec un son pur, plein, rayonnant.